本公司於1989年成立 , 各成員在汽車零件界有超過20多年之經 驗 , 特別在汽車配套件方面。 因敝公司和各大工廠在過往合作 良久 , 在價錢及供應方面都得到優先配合 , 為全港車主提供最齊全零件供應服務，提供之英國名車品牌零件包括：積架(捷豹), 丹拿, 雅士頓馬田, 越野路華(陸虎), 蓮花, 路華, 勞斯萊斯, 賓利等。提供規格完善的正廠零件，確保汽車性 能完善發揮. Our company was established in 1989. Every member has experience more than 20 years in the car parts industry. 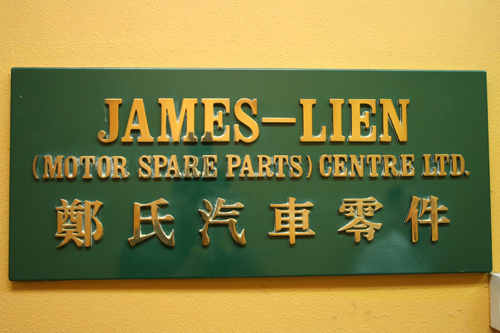 Our company and every large factory are working closely together for a long period, thus offering most complete parts supply service for car owner in Hong Kong, Mainland and Macau. The famous British makes that our services cover are Jaguar, Daimler, Bentley, Aston Martin, Land Rover, Rolls Royce, Lotus, MG Rover... etc. We focus on supplying genuine parts and offer them in very competitive prices.